Toasters can do more than just make toast. 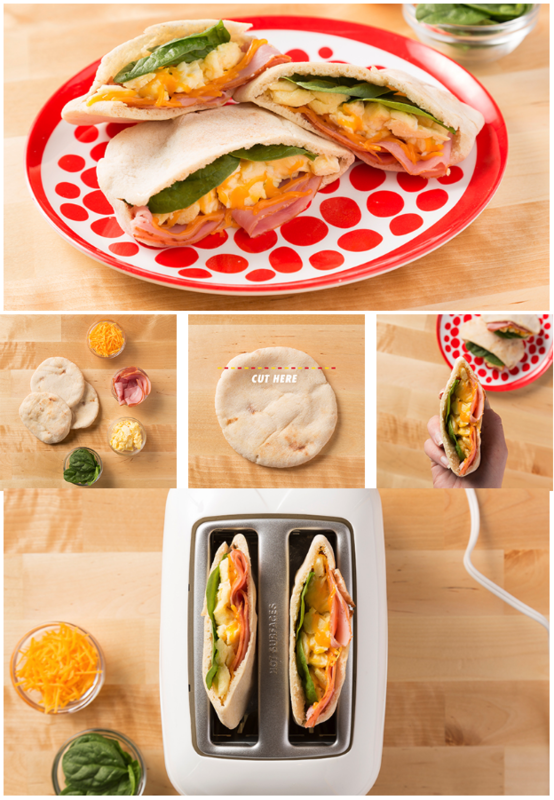 Busy mornings call for these quick and easy Breakfast Pita Pockets. Cut off the top section of the pita. Fill pita with Gwaltney Bacon, Ham or Turkey, scrambled eggs, baby spinach and shredded Cheddar cheese. Place in toaster and warm for one cycle.